In Florida, alimony is awarded and modified by the circuit court in the county where either spouse lives, or where the divorce took place. The law also permits individuals to file a case requesting an award or modification against their out-of-state spouse. In a divorce case, an alimony request can be made in the petition for divorce or by separate motion. Alimony requests made outside the divorce process are considered independent civil lawsuits. Florida alimony laws permit four types of awards: bridge-the-gap, rehabilitative, durational and permanent. Each type has a different purpose and some are limited in length. Payments are intended to provide the spouse with short-term financial support to assist in his or her transition from married to single life. This award cannot last longer than two years and cannot be modified after it is granted. This award supports the spouse while they refresh or acquire new job skills to become self-supporting. The parties or the court must create a rehabilitation plan for the receiving spouse's independence prior to the court's granting of the award. This newly-created type of alimony applies if the other awards are inappropriate for the circumstances. Payments cannot last longer than the length of the marriage. The court can modify the amount but not the length of the award. Payments are made for the remainder of the receiving spouse's lifetime, regardless of whether they receive any retirement or other benefits. How long a spouse receives alimony is dependent largely on the type of alimony awarded, which is based largely on the length of the marriage. The court has set forth certain rules that help determine how much and what type of alimony a spouse may receive, however, court can deviate from these rules if the circumstances warrant it, such as a spouse who needs to care for a handicapped child. The court must state its reasons for deviating from the guidelines in its order. A short marriage is defined by Florida as a marriage lasting for less than seven years. It's generally assumed that a spouse who has a short marriage will not receive permanent alimony. A moderate marriage is one that lasts between 7 and 17 years. Alimony in these cases, is neither automatically granted or denied, but instead the court tries to find the most just solution based on all the factors. It is assumed that if you are divorcing after a long marriage (one that lasts 17 years or more), one spouse will likely get permanent alimony. 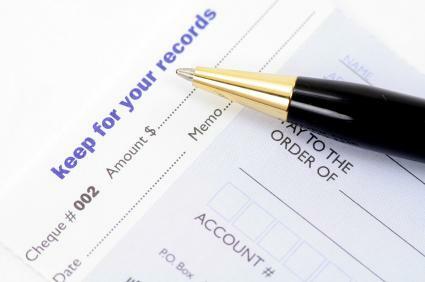 The new alimony laws in Florida streamline the process of awarding alimony and make award amounts more consistent. If you are in need of financial support, don't hesitate to petition the court for assistance.